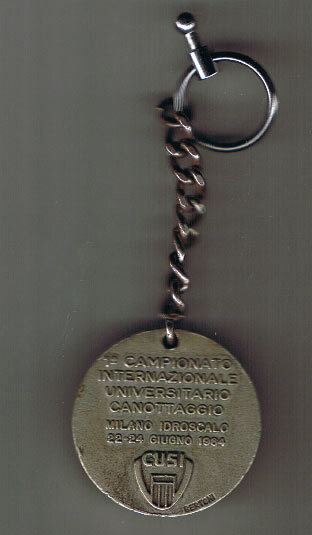 These Championships were conducted in Milan from 22nd to 24th June 1984. The team arrived in Milan on 17th June. Unfortunately, because of organisational problems, we were unable to secure boats until 20th June and therefore only limited training could be obtained prior to the Championships. However, other countries encountered similar problems. The opening ceremony on the 21st June was successful. The Australian team was by far the best 'turned out'. In the lane draws the team fared quite well with lanes 1, 2 and 5 for the finals. The 2000 finals were held in the late afternoon. 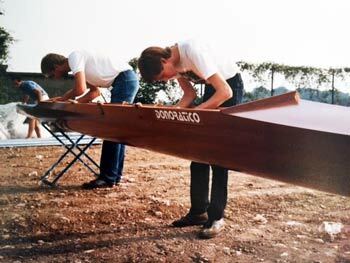 It was decided to 'scratch' from the coxless pairs final as the spacing of the finals would not have allowed us to row all three finals. The crew was placed 5th in the coxed four final and fifth in the coxed pairs finla. The coxed four had a good chance of a medal, but unfortunately the wash from a press/media boat adversely affected the teams chance. We were invited to enter the Dutch Nationals the following week. The offer was accepted with considerable enthusiasm. In Holland, the coxed four also advanced to the finals. The coxless pair final was extremely hard fought, and the crew came third to Hollands top senior B pairs, a terrific effort by Henry Vaughan and Richard McDonagh. The crew in the coxed four final also accredited themselves well, given the high standard of competition. 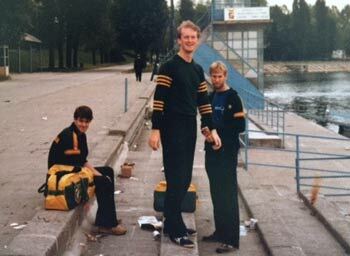 Although the team endured problems in Italy (possibly due to being the first world university rowing championships organised by F.I S.U), the team can be particularly proud of the way they represented Australia. It is essential that in future years, Australian Universities crews row at this level of competition. 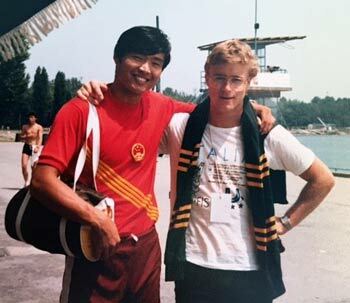 The experience gained is inavaluable to crew members in their bid to gain National and Olympic selection; and also beneficial to the advancement of rowing in Australia.